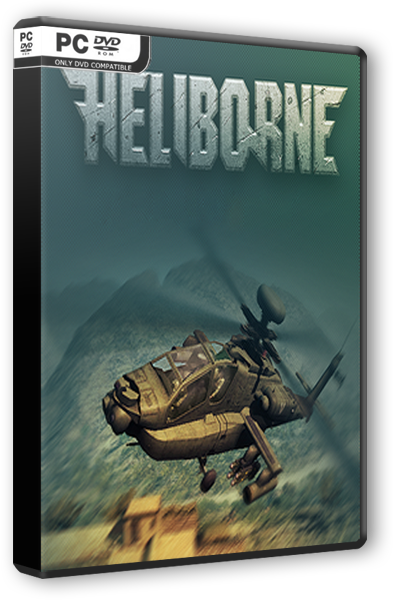 Heliborne – это военный экшн про вертолетную авиацию. В распоряжении игроков десятки вертолетов различных эпох, от 1950-х до 2000-х годов, карты по мотивам реальных конфликтов и несколько игровых режимов. 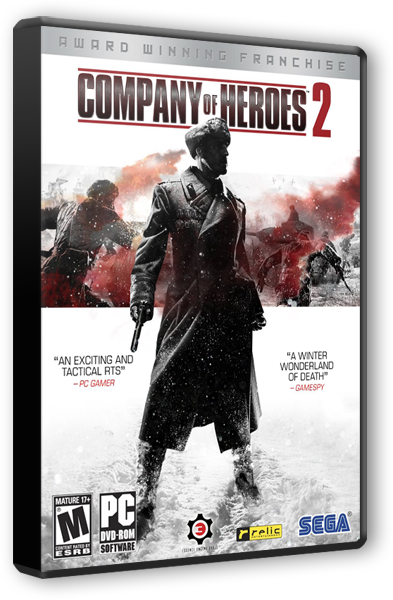 - Difficulty settings for Co-op now affect accuracy and target contact range both for AA guns and vehicles. - Health of AA guns on III and IV generation maps has been increased. - New Co-op objectives have been added: insert operation under fire, reconnaissance group evacuation from ambush, medevac, and reconnaissance operation. 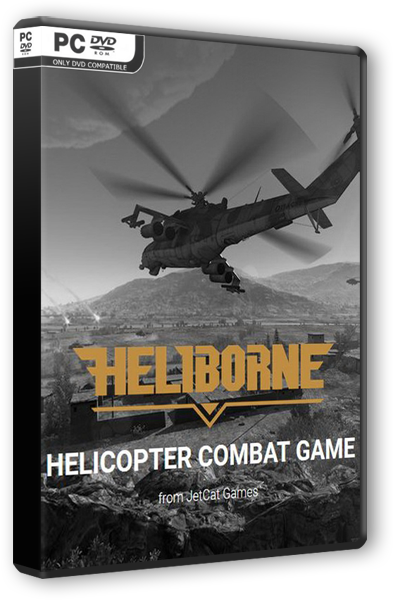 - Appearance logic of several objectives has been changed: less objectives deep behind enemy lines, less objectives which lead to spawn of enemies in close vicinity to player's helicopter, etc. 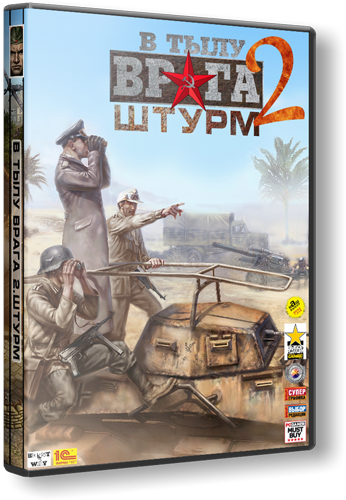 - 50-seconds enemy spawn delay has been added to 'engage enemy convoy' objective. - Time limits for objectives on easy and medium difficulty levels have been slightly increased. Several new options for number of simultaneous objectives have been added. 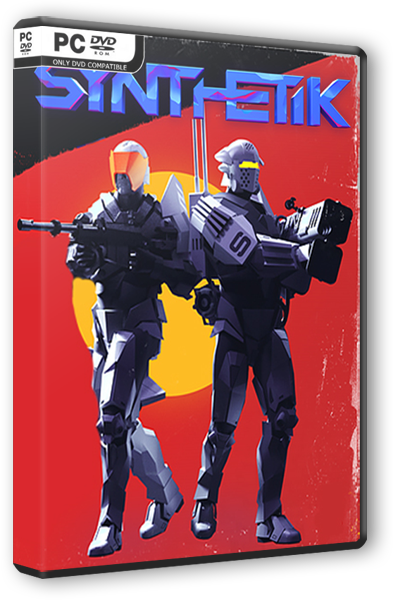 - Chance of positive event after successfully carried out objective has been slightly decreased on all difficulty levels. - Air-to-air and Manpad missiles have received guaranteed damage depending on their power. Overall, air-to-air missiles became more effective, but will not inflict more damage than before. - MANPAD's missile smoke trail is now starting higher from the ground. - Shooting accuracy and range of RPG soldiers have been slightly increased. - Also, group of RPG soldiers now communicate with each other and does not make double shot in the same target. - Fixed RPG grenade bug which incorrectly lowered its damage. - RPG grenade rules for damaging helicopters have been changed: now it inflicts guaranteed damage. - Enemy RPG and MANPADS in Co-op now have unlimited number of shots. - Targets marked by scout helicopters now have additional 'request for attack' icon above them. - Markable area range for scout helicopters has been decreased from 100 to 70 meters. As a result, markable area size has been decreased around two times, but it's still enough to cover any landing zone. - Target auto-lockon for cannons has been improved. It's now being activated much more often. Hence 'mark target' button for scouts has been moved from B to E by default, while manual lockon has been moved from E to B. - Improvements of Chinese localization (thanks to Danyu-Tom, Pvt.Petrenko, and Chinese players group).